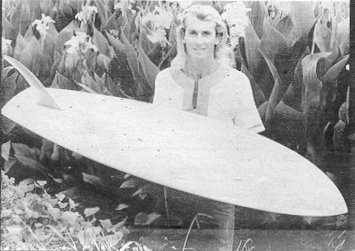 Volan glassed with 1 1/2 inch rail lap, three quarter deck patch. 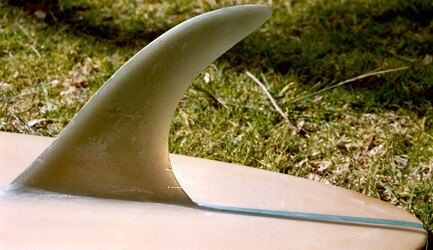 For fin placement, see image below. - blue/black shadowed rectangle below main decal. Deck has four onion fractures, and some small dings, some staining. A large delamination near the Conneeley decal has been filled with injected resin through 5 drill holes. 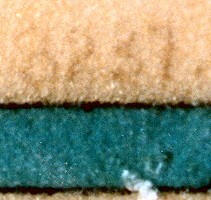 Two holes are apparent in the decal image, below. Bottom has several minor dings and a chip out of the tail. Robert Conneely sponsored to San Diego World Titles by Hayden Surfboards. 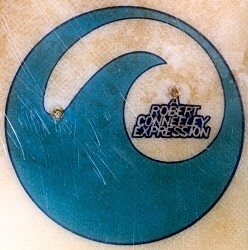 1970 Robert Conneeley Expression Model. 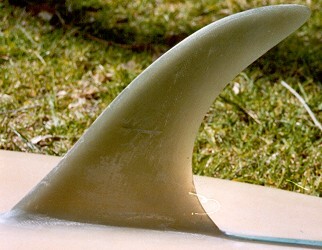 A classic design .of the period from a noted surfer shaper.